Excess facial and body hair is a common condition amongst Asian men and women, and for those people with darker skin. 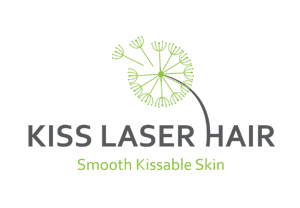 Kiss Laser Hair Clinic is able to safely remove excess hair from Asian and darker skin tones. Prior to treatment, you will need to have a free consultation which includes a skin patch test. This is to make absolutely sure laser hair removal in Manchester will work well for you. Laser hair removal for darker and Asian skin can be safely used on all areas of the body, even in sensitive areas, providing a good, long-term solution to unwanted hair. The specialised laser at Kiss Laser Hair Clinic is able to treat darker skins, and will be set at the appropriate level to make sure your treatment is effective and safe. Our Polaris Nd:YAG laser is ideal for treating Asian skins and darker skins, as the light energy produced ensures absorption of melanin is extremely low, minimising the risk of any changes to skin pigmentation. Skin colour changes can sometimes be a problem when an Intense Pulsed Light system is used for hair removal, and is one of the reasons why we choose to use a high grade, medical quality laser for hair removal in Manchester. In fact, people with darker hair will generally find treatment is much more successful than for those with lighter hair, as laser treatment works best at targeting hair follicles that contain higher levels of melanin, the compound responsible for giving hair its colour.